Hi friends. 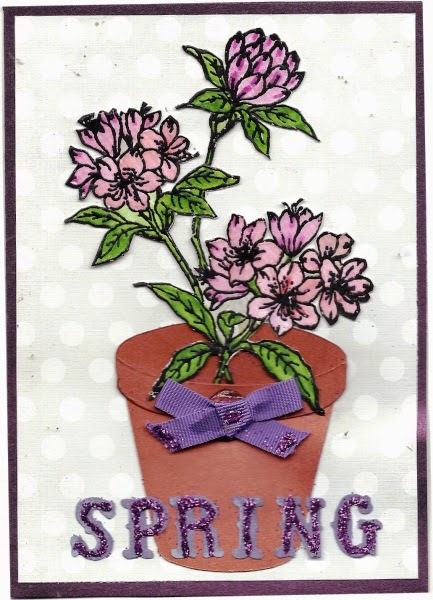 It's Barbara Washington with my last posting as April guest designer for the SweetStamps Challenge Blog. I can't believe how fast this month has gone by. I've really enjoyed being here with you sharing cards created with some of my favorite stamps. This week's challenge is an inspiration challenge. When I saw this image, the word "spring" immediately popped into my head and off I went. I love the SweetStamps flower stamps. I've used parts of the stamp blossoms in the past, but I've never used the whole stamp before. It fit perfectly with the Sizzix pot die cut. The result made me smile. I colored the flowers with distress markers and fussy cut them so I could plant them in the pot. The background panel is a piece of designer paper which is light gray with white polka dots.Since I wanted to show the happiness spring brings, I added a bow and the sentiment adorned with glitter. Again, I want to thank SweetStamps for giving me an opportunity to guest design on the blog. It's been so much fun. And thank you for sharing this experience with me. Wonderful design, beautiful coloring on the Blossoms and love the purple bow. 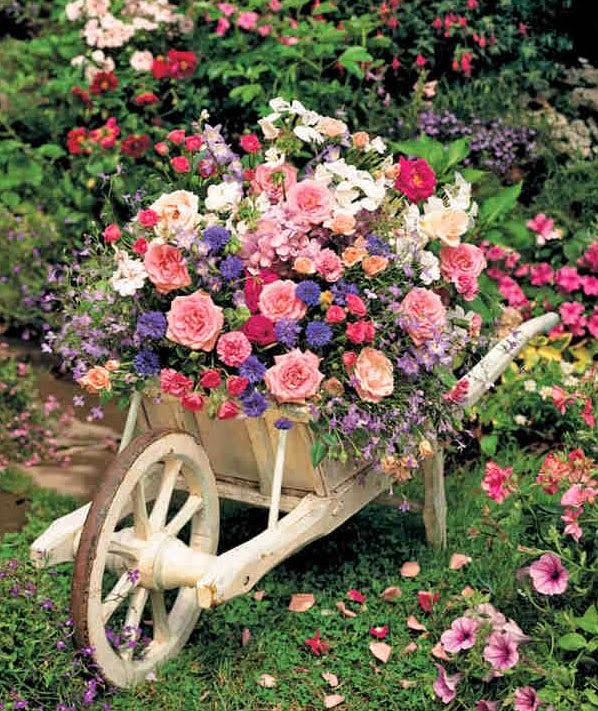 Love your card- the flower is beautiful- and love that it fits perfectly in the pot! Thanks so much for joining us this month as GDT! So happy you joined us this month, Barbara! Your potted flower is so pretty and perfect for SPRING!